Researchers sought to identify risk factors for recurrent suicide attempts, controlling for gender and addictive substance exposure. Sixty-one percent of people with substance use disorders who attempt suicide report recurrent suicide attempts, and these individuals have potentially avoidable or treatable risk factors, particularly psychiatric hospitalization, sedative use disorders in women, and nicotine dependence in men, according to research published in the Journal of Affective Disorders. Suicide prevention is a top priority in the treatment of substance use disorders as recurrent suicide attempts are common in this patient population and are associated with suicide mortality. 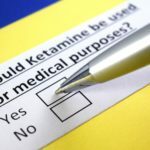 In the current study, researchers sought to identify risk factors for recurrent suicide attempts, controlling for gender and addictive substance exposure, by assessing the lifetime history of 433 outpatients (77% men, n=333) with either cocaine or opiate use disorder using standardized questionnaires. Of the total 433 participants, 32% (n=140) had attempted suicide, and 61% of this subgroup reported 2 or more suicide attempts, with a mean number of attempts per lifetime of 3.1 ± 3.7 (median=2, range=1-30). Women reported more lifetime attempts than men (47% vs 28%, chi-squared 12.786, P <.001). Risk factors for recurrent suicide were psychiatric hospitalizations for both men and women (overall P <.001), sedative use disorders for women (P <.0005), and higher rates of nicotine dependence and more cigarettes smoked each day for men (P <.025 for both). There was a trend for recurrent suicide attempts to be associated with more frequent endorsement of the criteria for serious suicide attempts, but this difference failed to achieve statistical significance (corrected P =.026). Suicide attempts that qualified as violent (14%) were not associated with recurrence. Disclosures: Several authors reported ties to the pharmaceutical industry. Please see reference for a full list of disclosures. Icick R, Vorspan F, Karsinti E, et al. Gender-specific study of recurrent suicide attempts in outpatients with multiple substance use disorders. J Affect Disord. 2018;241:546-553.